THIS ITEM IS NOT AVAILABLE AT PRESENT. WE WILL NOT BE GETTING ANYMORE Batman Arkham Knight Harley Quinn Action Figure. From the Batman collection by DC Collectibles. 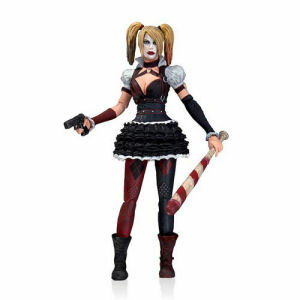 Batman Arkham Knight Harley Quinn Action Figure.Based on the designs of the 4th installment of the Batman Arkham video game series.